Empower children to recognize their individual worth and develop confidence in themselves, their abilities, and the choices they make. Children learn that they can speak up, expect and show respect, try new things, and believe in themselves. Confidence-building skills of accepting yourself, asking for what you need, making decisions, solving problems, and communicating are also discussed. Young children will respond to the true-to-life situations and colorful illustrations. From the author of the popular Learning to Get Along® books comes a one-of-a-kind character-development series. Each of the first six books in the Being the Best Me! 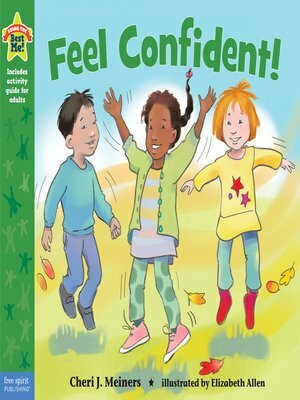 series helps children learn, understand, and develop attitudes and positive character traits that strengthen self-confidence and a sense of purpose. Each book focuses on a specific attitude or character trait—optimism, self-esteem, assertiveness, resilience, integrity, and forgiveness. Also included are discussion questions, games, activities, and additional information for adults. Filled with diversity, these social story books will be welcome in school, home, and childcare settings.